I stepped out of my comfort zone this month. I joined a club. While it may seem very high school of me, haha, this is a secret club. Okay, it’s not secret, apparantly hundreds of bloggers know about this club, and over 150 bloggers are members. It’s the Secret Recipe Club. Each month a blogger is assigned another bloggers site, and just like a Secret Santa, you can’t tell who you have. But, you pick a recipe from their site and make it, and of course share about it. Thanks to Amanda for creating the Secret Recipe Club! I was very nervous. What if the site I received didn’t have food I like? Ha! As if. I like pretty much everything. I’m more nervous to find out who had me, and whether they liked me or not. (yes, again very high school). Let me tell you though, I am in love. I was assigned Fake Ginger, written by Amanda. I have spent every day this month pouring over her recipes. I love so many. I’ve already made her Birthday Cake Ice Cream, which is delish! I’ve also bookmarked her Chocolate Peanut Butter Biscotti as something to bake real soon! But, the recipe I chose I was immediately attracted to. I’m talking love at first sight. 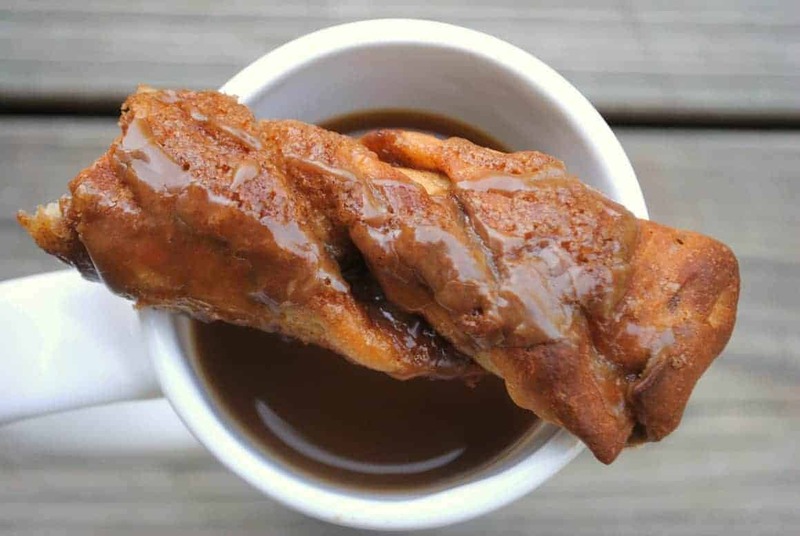 Maple Twists. These are amazing. I did change up the recipe, very slightly, as I know my kids don’t like nuts in most food. I omitted the pecans, much to my own dismay. I’m sure they would have made these even better! As would some crispy bacon sprinkled on the warm glaze. Yeah, I’m obsessed! I wanted to give you all a few photos of how I made it along the way. Because in this recipe, sometimes a visual helps! Heat the milk and butter in a saucepan on low until very warm. Blend it (in stand mixer) with 1 cup flour, sugar, salt, yeast, maple flavoring and egg. Beat this on low for 1-2 minutes. Add the rest of the flour 1/2 cup at a time. Attach dough hook and knead into a soft dough. It will become smooth and elastic in about 2-3 minutes. Cover bowl with plastic wrap and let it rise for 45 minutes (or till at least double in size). While the dough rises, mix all streusel ingredients. After the dough rises, divide it into 2 pieces. Roll each piece into a 12″ circle. Place the first circle on a buttered baking sheet. Top the first circle with 1/2 of the streusel mixture and spread it around as thin as you can get it (repeat with 2nd circle). These became very thick once baked. You could EASILY take the second circle and instead of putting it on top of the first, you could make a second batch of twists. I will do this next time! Find something that is 2 inch across and center it on the circles (press down a little to make a mark; I used my 1/4 cup measuring cup). Using a pizza cutter, cut from the outer edge into the cup mark, making 16 wedges. Gently lift and twist each section 5 times. Tuck the end in just a little so that it stays twisted. You can see I forgot to put the second half of the streusel on my dough. So after I twisted, I brushed the rest of the streusel onto the twists. It worked out just fine! Lightly cover this with plastic wrap and let it rise for about 45 minutes to an hour. Bake in a 375 oven for 18-22 minutes (mine took the 18 minutes). Remove from oven and let rest for 5 minutes. Whisk all glaze ingredients together. Drizzle glaze over warm twists. Eat and enjoy! I froze half of the twists in a ziploc freezer bag. Then when we want to eat one, we remove it, microwave for 30 seconds, and enjoy a hot fresh twist! Otherwise, I would totally have eaten all of them immediately! Thanks Amanda for an awesome recipe. This is a keeper for sure! I'm honored that I was able to choose one of your recipes! I am so *not* a baker, and I find it fascinating how that dessert was put together with the twisting. Very cool. And it looks so tasty too! These sound so good. Maple is my favorite flavor. Wanting to make these very soon. Quick question: How much flour do you add at the beginning (with the milk and butter)? It later says, add the rest of the flour. Thanks for your help. Pam, thanks for catching that! All fixed (it was 1 cup). Yum! Aimee, this look and sound wonderful. I’m sure they would be gone in a flash at my house! Yay, I’m so glad you liked it! They look awesome! And you’ve reminded me that I need to make them again. These look so dang good! I wish I had some now! Great choice!!! 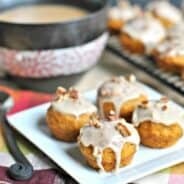 These would taste great with my coffee right now! I love how these are formed. I am definitely going to have to try out that technique of leaving a center and twisting the “spokes” of the wheel. It makes a great presentation. Oooo, these look great! I might have to go join this secret recipe club. Sounds fun! YUM! Those look like so much fun to make! Welcome to the SRC! Oh they look delish! Aimee, these look great! Makes me wish I lived closer and I could just jog over for a little chat and enjoy one of these little gems! Oh, I know my kids would LOVE these! They look delicious, thanks! LOL I can relate to the high school feeling…OMG did someone actually post about MY recipe? what if they didn’t like it, maybe I don’t really fit in! IT’s kind of comforting to know that others share the same silly insecurities! Thanks for sharing great photos, I love the meathod used to make these and will def try these soon! Oh my goodness, these look so pretty and sound heavenly! Anything with maple flavor has got to be good. Great choice, what lovely pictures! YUM! These look awesome for a breakfast pitch in or brunch. I would love a big cup of coffee or sweet tea to pair with one of your twists. Thanks for sharing! Wow does this recipe look fantastic. Great pictures. Congrats on winning the Fairy Hobmother wish. It sure is fun to go to Amazon and shop! What a FUN thing to make! It looks amazing! Thanks again for being a part of SRC and thanks so much for the mention of MOMS CRAZY COOKING! I just now finished linky everyone and organizing and now I get to visit everyone’s blog, THIS IS THE FUN PART! Mmmm these sound so good Aimee! I would love to get up in the morning and greet one of these with my coffee. Mmmm! 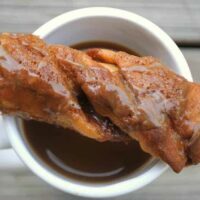 These maple twists sound so yummy. Maple is definitely one of my favourite flavours. YUM! These look delicious…you did a great job! I’m having fun sharing great recipes like this in SRC! Oh my wow… these not only look fun but delicious too. Filing away to try!! Yum!! Love discovering new yeast dough recipes! Great job! These look delicious. SRC is so fun! This is real wonderful and fun recipe! Glad to be in SRC with you. These would definitely grab my attention first too! Looks yum! What a great recipe pick for the Secret Recipe Club. Yummy! YUM! What a GREAT recipe! Cast Party Wednesday starts tonight at 12:00 midnight. I would love it if you came over tomorrow and shared some recipes with us. Those look amazing! You picked a great recipe. Neat! Love the method for making them twisty — I’ve never seen that before! The Secret Recipe Club sounds like such a wonderful way to meet other people with a talent for cooking & baking, and to discover new recipes & ideas! I love the clever way these maple twists are formed! Thank you so much for linking up to “A Little Birdie Told Me…”! I know I can always count on something uber scrumptious from Shugary Sweets! Oh these look so good, I want to try them out. 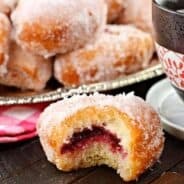 You have so many wonderful recipes to choose from here too. 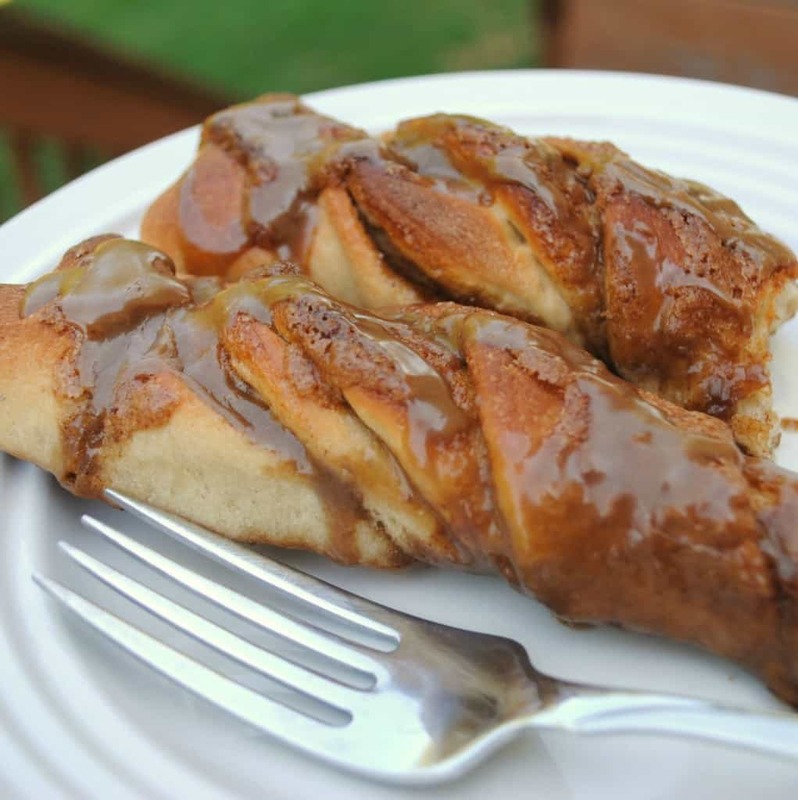 These maple twists sounds amazing! These might just be too easy… I think I need to make them right away! They look delicious. Aimee, I’m dying. I love love love maple twists! These are so cute. I would feel fancy eating one with my morning coffee hehe. These definitely look amazing. I think I am in love too! I was happy to see this post. I just discovered you a short while ago, much to my enjoyment. 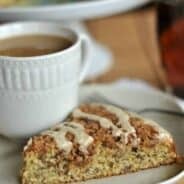 About 30 years ago, I had a 4-H Cookbook that had a recipe called Maple-walnut honey twist Coffeecake. You used 2 pizza pans. I have scoured the internet for similar recipes. Except for this making one, this is I swear the one! Imagine my excitement. So I will be doing this on the coming weekend. I love baking in the fall, apples, cinnamon, maple flavors and smells in my kitchen. After a long hot summer, I miss my kitchen,lol. Thank you for the many coming hours of happiness we’ll be spending in my kitchen together.